Please note: This product contains Sulphur Dioxide or Sulphites (> 10mg/kg total SO2). This product contains Egg and Egg products, Milk and Milk products. Australian DRY WHITE FRUITY and Refreshing from SOUTH EASTERN AUSTRALIA. Dry White Wine. 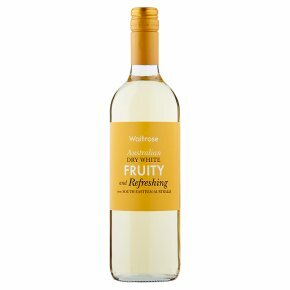 The taste....Light,fruity and refreshing as a summer breeze, with zingy pineapple and peach flavours. Made from..... a blend of quality grapes grown in vineyards across sunny South Eastern Australia.